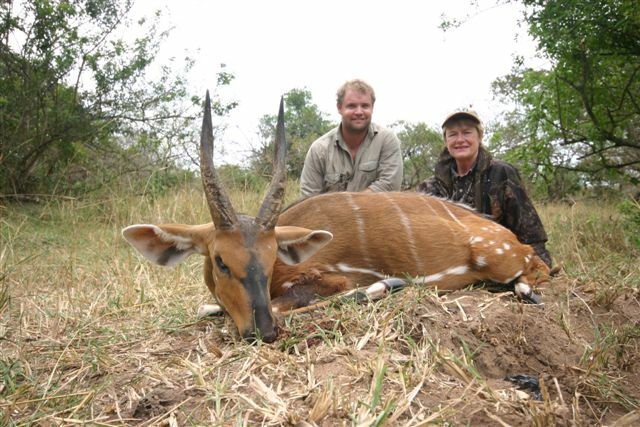 Bushbuck are the smallest of the spiral-horned antelope, but they are also the most fun to hunt; especially when you can still-hunt thickets in areas where there is a good population. 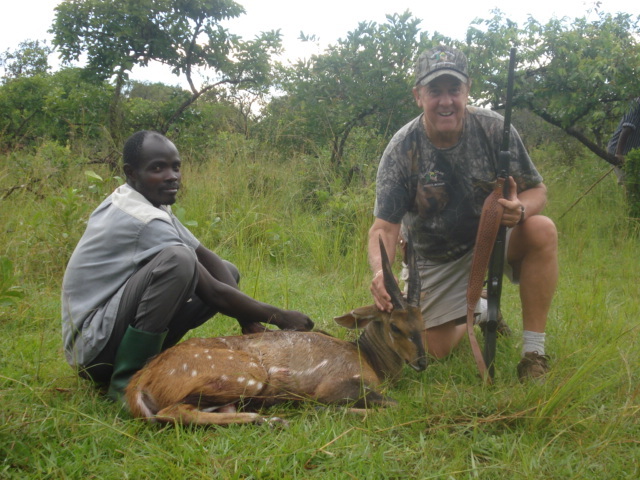 The Kafu River Basin concession of Uganda Wildlife Safaris, Ltd. comprises a huge area with prime habitat for the heretofore seldom-hunted Nile Bushbuck. 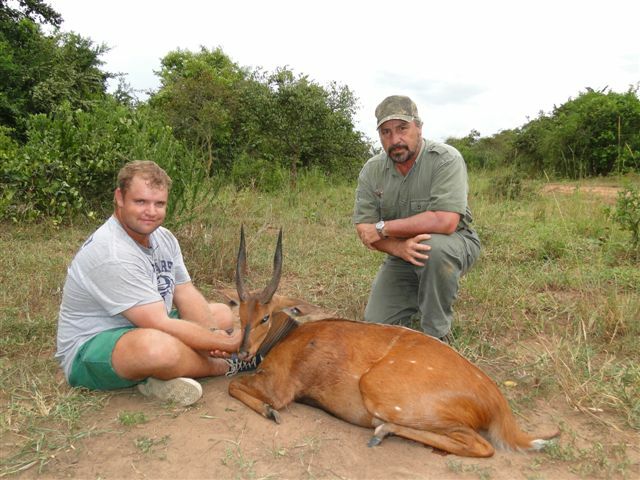 SCI recognizes 8 subspecies of Bushbuck. None are more beautiful than the Nile variety. 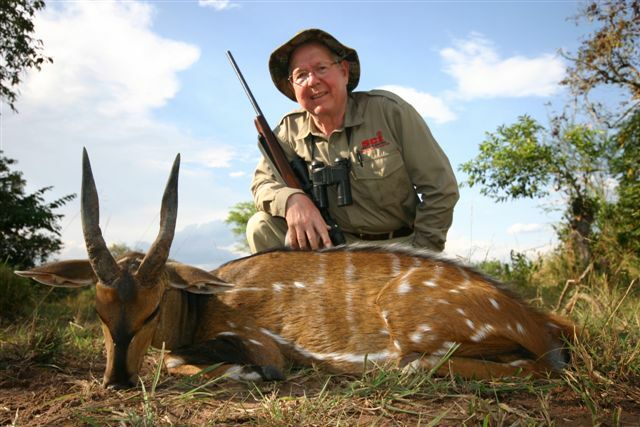 It is generally larger than the Harnessed Bushbuck and with some stripes that are broken into spots. 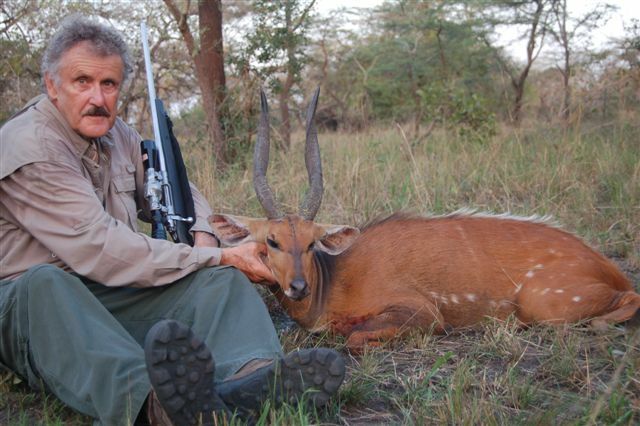 The latest edition (XII) of the SCI Record Book lists only one-page of entries for the Nile Bushbuck with the great majority coming from Sudan and just a few from Ethiopia and Uganda. 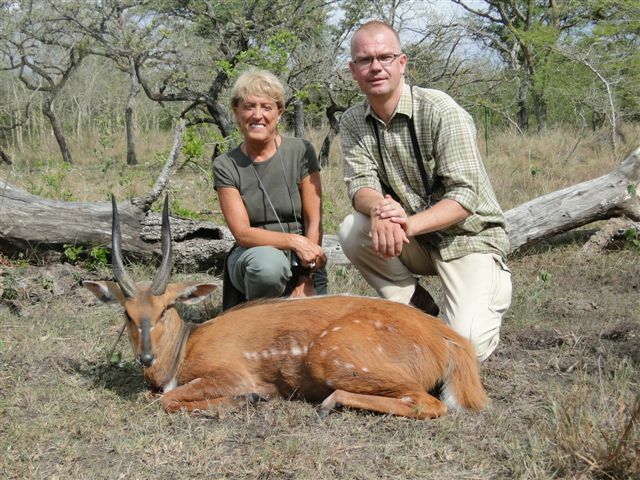 Even so, the top 4 entries and 7 of the top 13 come from Uganda. 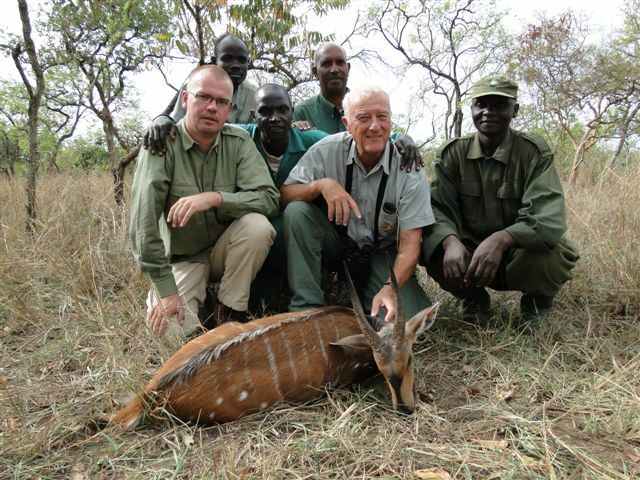 Now that Uganda has re-opened, the Record Book will be re-written. 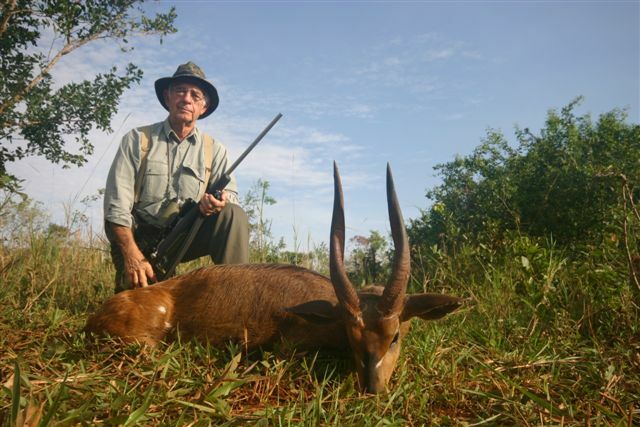 Dating back to the first SCI entry in 1961, and until Uganda re-opened in 2009 (outside of the test program at Lake Mburo), only one Nile Bushbuck had been shot with horns over 16 inches ... only 20 had been shot with horns over 12 inches!! 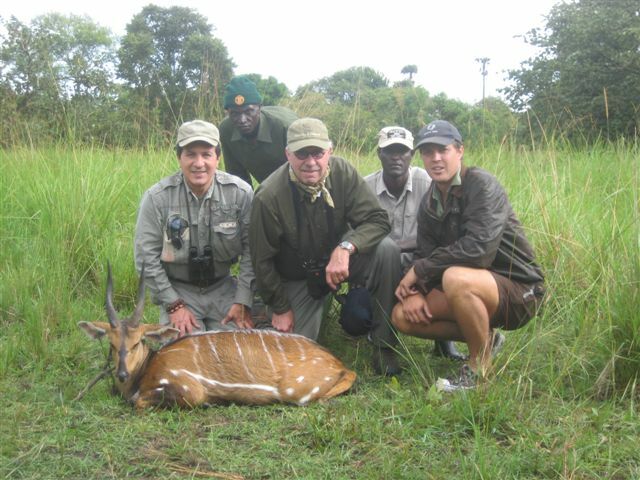 From December 2009 through April 2010, every Nile Bushbuck shot by clients of Uganda Wildlife Safaris exceeded 12 inches and two exceeded the magic 16-inch mark. Can you pick out which ones? 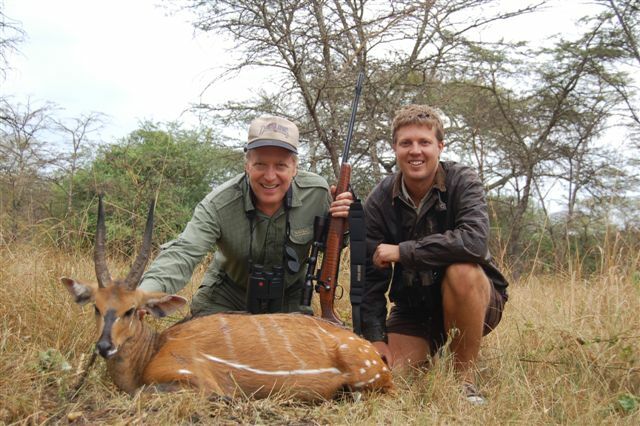 For the 2011 season, full-bag safaris will be conducted in Uganda January - November. 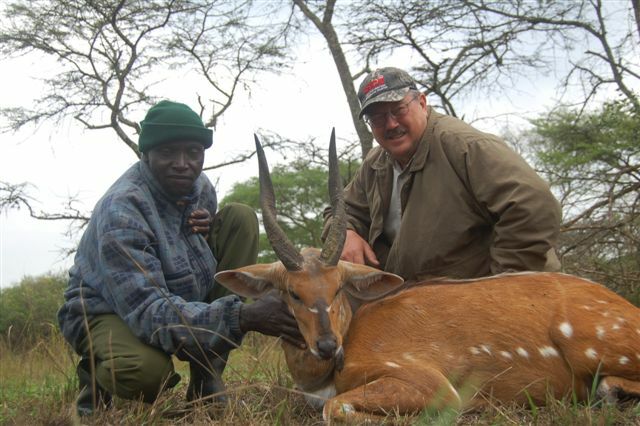 Contact Ken Wilson at kwilson@sportsmenonfilm.com for all the information about hunting Uganda with Uganda Wildlife Safaris, Namibia with Mashete Safaris, and Europe with Jagdkontor Safaris.